The following diagram shows these zones and an ideal situation for all the niches and their spatial relationships within the aquatic system. 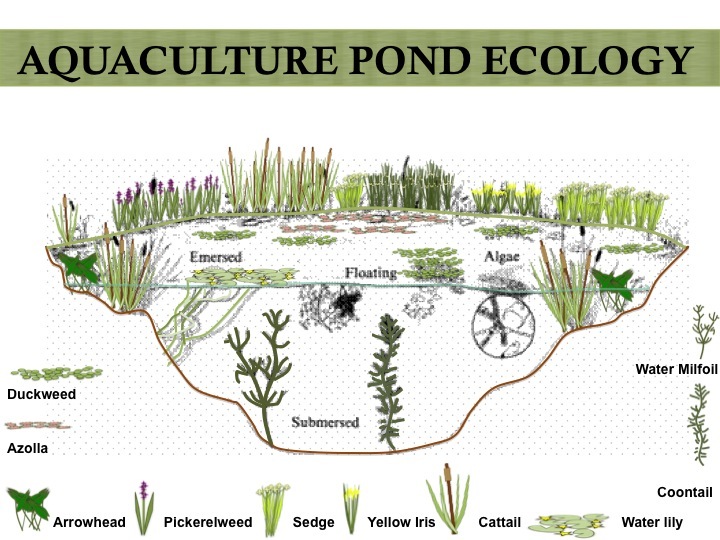 All of these zones can flourish and depending on your aquaculture desires, your design will dictate the shape of the pond and how much space you dedicate to any one of these niches. Remember that aquatic systems are much like food forests, there is a succession that occurs so the system is not static, rather quite dynamic. One of the most visible and exciting layers to interact with is the one that floats freely on the water’s surface, roots dipping below but finding no anchor in soil. They move around with currents and wind and have varying sizes, growth rates, and uses. In common they do cover quickly thus producing a plethora of biomass. 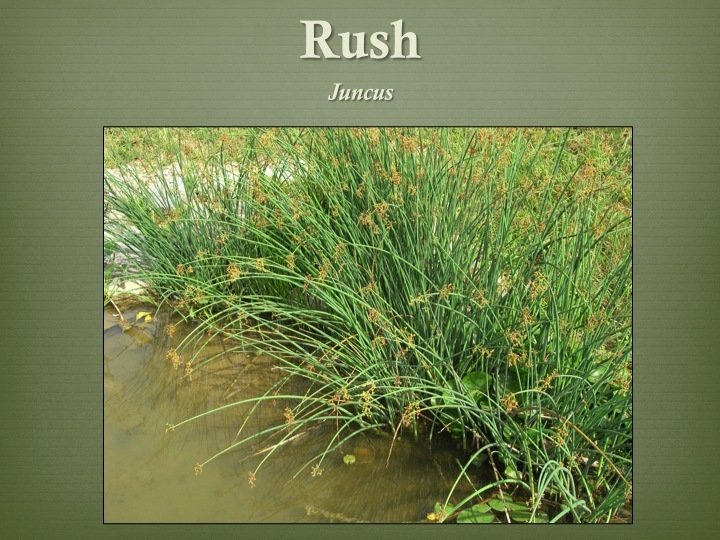 Often labeled as invasives, they do rapidly and efficiently cycle excess nutrients which seem to be in abundance because of poor agricultural practices and urban planning that bleed nitrogen and phosphorous runoff. These can be cycled to build soil and in drier regions finding green material for summer composting and fertilizer can be scarce but aquauculture systems can shine their bounty even then. harbors 43% crude protein when dried. It can be scooped out and fed to chickens as well and with its rich lysine content it can be the difference maker in a chickens diet for producing golden eggs instead of pale yellow yolks. It also can be scooped off and be a mulch plant or added in compost piles. 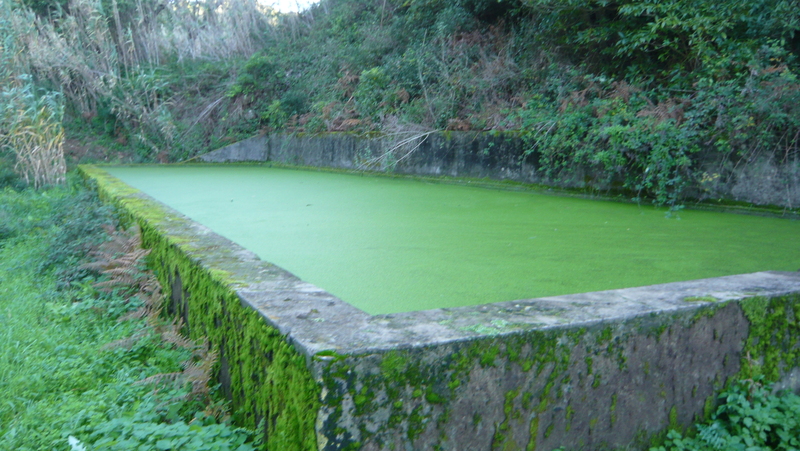 I have also seen it be used to cover water tanks in Portugal to suppress evaporation and mosquito proliferation. These plants are native all over the world and their ability to reproduce their mats of surface vegetation in one day after scooping half off is a great sign of abundance. 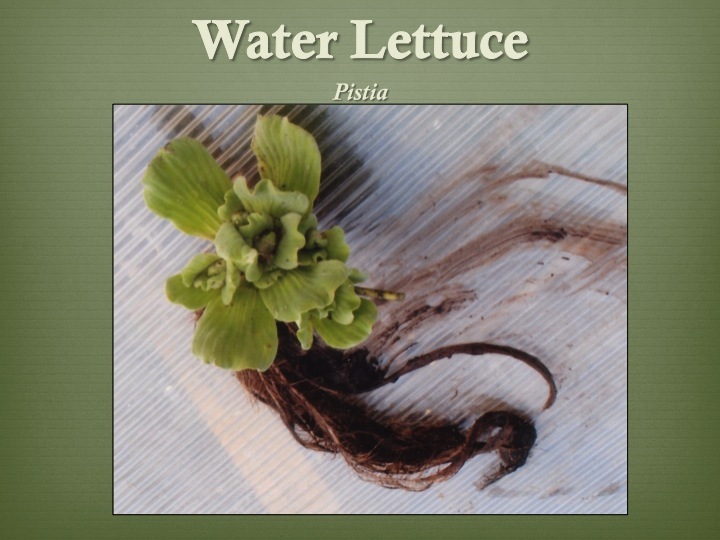 Water lettuce, while not edible for us, is quite useful in its tropical (or grown as an annual) growth regions for overall system health. Ducks love to feed on its new growth while many insects and mollusks find space to thrive amongst its leaves and extensive root systems. 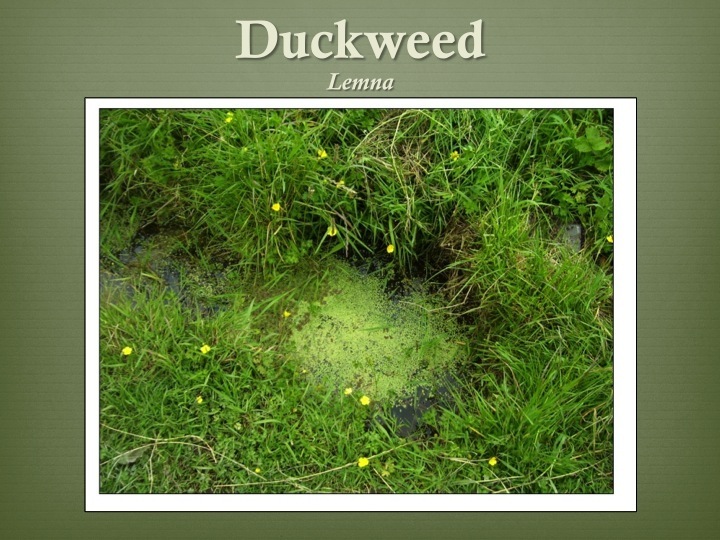 It holds significantly more biomass than duckweed making it an even better choice for biomass production. Its roots also house filtering microorganisms. To get this one established you may have to put a fence around a corner patch as the ducks will hammer it back. 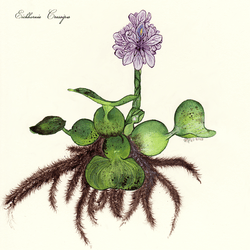 Combined with fish nibbling its roots it can be tough to establish because of its lettuce like quality to others. completely choking out waterways quickly. This is of course a response to nutrification from agricultural, industrial, and municipality runoff. It’s a great filter plant and gives habitat to many insects and mollusks thus helping to set up higher forms of life. In Costa Rica (2005), I enjoyed the preserved bounty of harvest of a bumper cacao crop from others mulching with water lettuce and water hyacinth the year before. 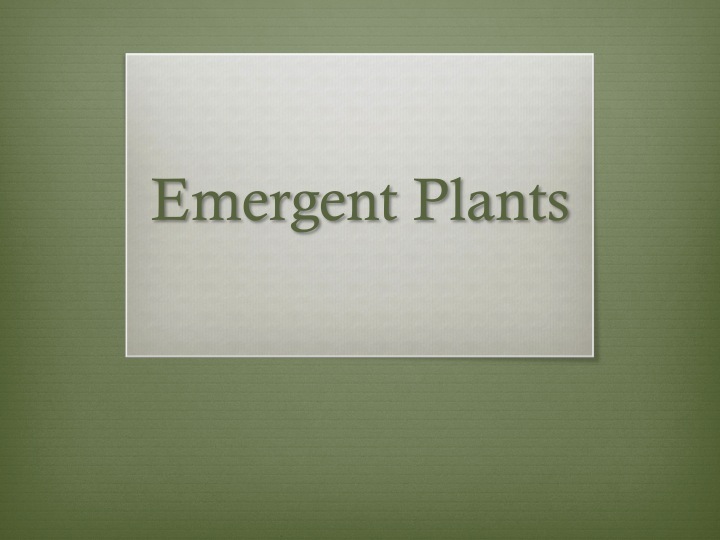 These nutrient and mineral rich plants gave the plants exactly what they needed to flourish. Moving the plant material to the cacao trees was easy as they were in relative location. Thus deciding what trees surround your aquatic ponds is an important part of aquaculture design incorporation into an overall site plan. 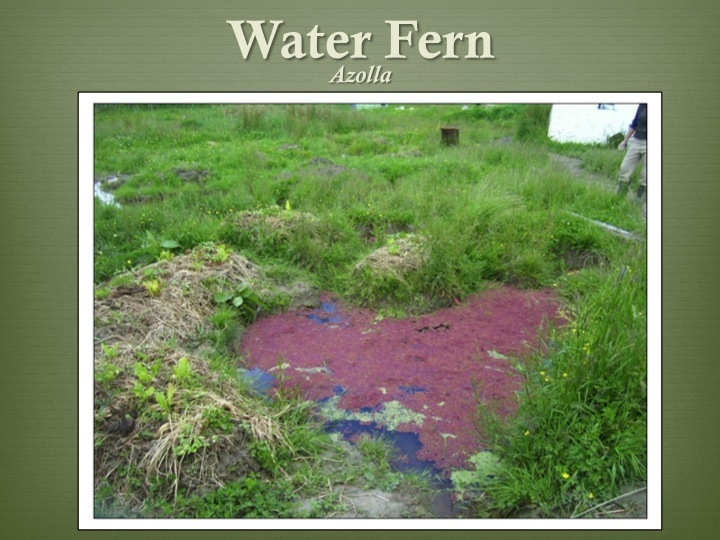 or Water Fern. Its leaves take on a cypress/cedar look in form but at some point in the year they often turn red, giving the water body a striking color difference between the adjacent green growth of the land. 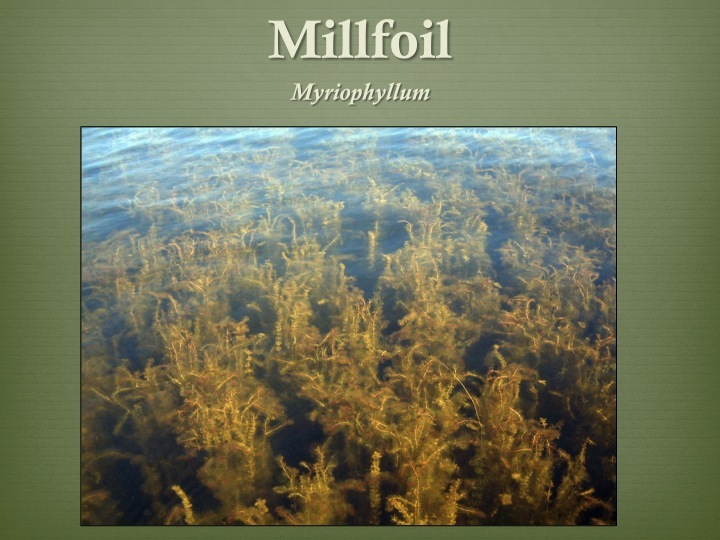 This plant grows very quickly and is high in nitrogen due to its microbial associations. Its fill similar ecological niches and soil building traits as the others above but definitely distinguished by its obvious ancient form, aesthetic enhancement, and nitrogen fixing. The next grouping of plants under discussion is those that grow right at the edge of the pond and into the water body itself. They are found on the edge where water levels tend to fluctuate and can be completely inundated or standing some distance from the waters edge at different times of the year. Essentially they are rooted in the water body but then emerge through the water surface. They are great colonizers and help to fuel pond succession with their abundant organic mater. 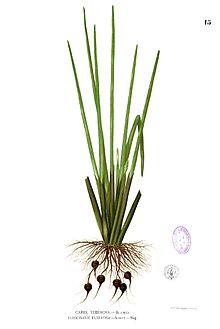 They are great filter plants and are often referred to as wetlands plants as these shallow kidneys (wetlands) of nature feature these emergent plants extensively. Uniquely, they do pump oxygen into their root zones and help to keep aerobic/ anerobic organic matter processing in balance. Their roots are thus colonized by a wide range of microbes helping them absorb nutrients and heavy metals. quite hardy and forces itself deeper into the water and onto the drier banks. 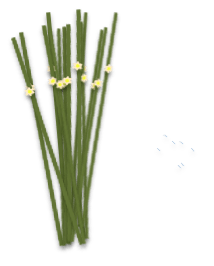 It is edible and pound for pound (kg for kg) it far outcompetes a potato per acre (or hectare) in its rhizosphere yield. Also it can be eaten like asparagus in the early spring when its new shoots emerge. Furthermore its pollen, as seen in the below picture, is a nutritious supplement that is added to flour for baking. Then to top that off its fiber uses are tremendous as well. First the seed heads, which form after this mineral rich pollen is pollinated, are a fantastically fine fiber. This gives it incredible insulative qualities and is a favorite of mine for adding to a finish plaster. The fine fiber helps in this layer for it to not crack and substitutes other hard to find fine fibers from animals. 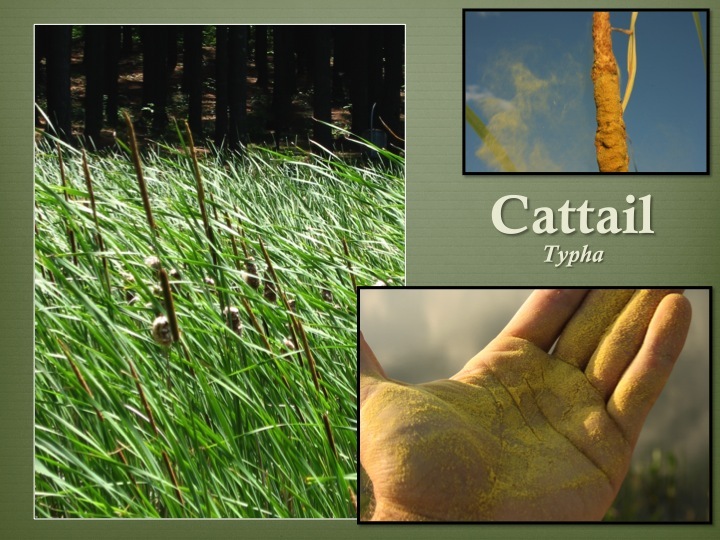 Also the cattail plant is used in weaving traditionally for baskets, mats, bedding and even the basis of the aquatic mats that formed the super productive aquaculture system of Central Mexico known as Chinampas. Thatch material is also derived from this plant which is common of this plant grouping. species is edible. They are high in silica making their cells hard to break down which is what makes them a great thatch plant but also a garden mulch when material is scarce. This is one plant that has been diminished in it’s worldly habitat due to wetlands draining. However creating edge in ponds and stream situations allow this plant to reemerge. 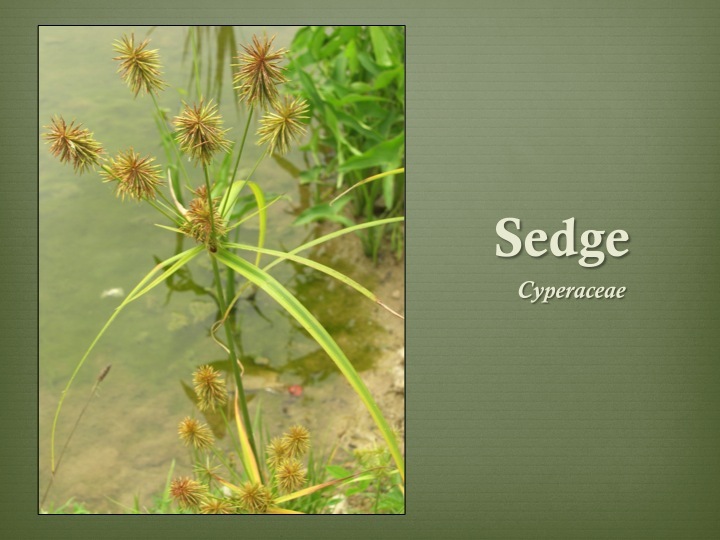 to distinguish rushes and sedges and it goes like this, “sedges have edges, and rushes are round”. So if you find yourself trying to identify plants on an aquatic edge, a triangular feel in your hand indicates that just might be a sedge while rushes will spin with their round shape. Grasses are hollow inside giving you one more identification tip. Also the very nice eating water chestnut belongs to this grouping and where appropriate should be considered for a great vegetarian yield from aquaculture systems. This tuber is often found in oriental cooking and its light flavor and crisp texture is quite a delightful harvest. 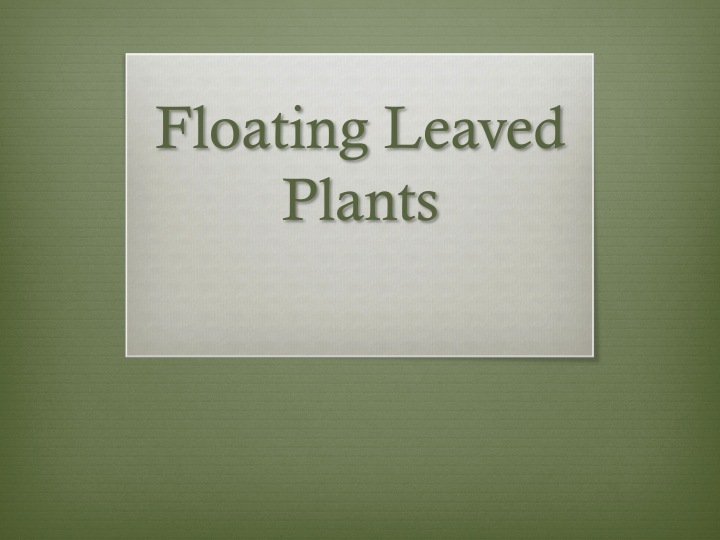 The next grouping of plants to be examined is those plants that are rooted in the pond bottom and send their leaves upwards but don’t break the water surface other than their flowers on some species. They form dense seaweed like mats that I liken to “forest of ponds”. They harbor all kinds of insects and mollusks and are a great refuge for small fish. This of course leads to predation of all sorts whether from crayfish, fish, or fish eating birds. Because they don’t break the water surface the plants are able to have their stoma more open thus releasing heaps of oxygen into the water body. They have incredible amounts of edge from their feathery leaves and are quite a beautiful sight in water ways but often considered invasive. 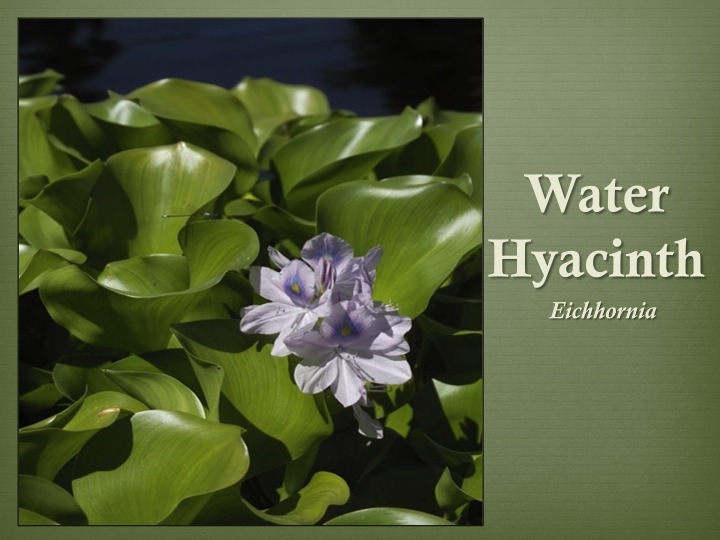 They grow in not too deep of waters and often can be seen from the banks as you look through the water body. creates many spaces for creatures to thrive as some creatures feed off of its leaves while others feed off the film of microorganisms that exist there. With predator fish hiding and ready to pounce, young fish dart in and out of the swaying vegetation. It does transfer nutrients to plant growth, which some call invasive, but is misguided as we must look holistically at the root cause: man made runoff pollution. 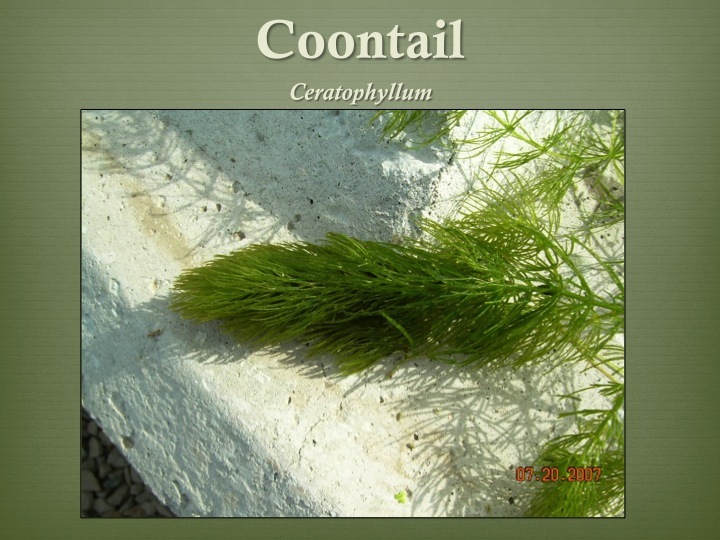 Coontail is very similar to millfoil, from Europe, but american in its heritage. Both are considered invasive in the opposite continent and are quite aggressive in spreading when given the habitat. However this can of course be very good from an overall ecological perspective with their habitat creation and oxygen content increasing ability. They lead to ponds succession as their year after year cycling of their biomass accumulates organic matter eventually leading to emergent plants entering in shallower regions. The next group of plants can form vast colonies spreading over acres and acres in larger water bodies. I can remember the never ending patches of lily pads at my grandparents 15 acre lake in Kentucky, USA that was nearly cut by half in size from these jungly masses of plants that are rooted in the pond bottom and their leaves float and rest on the waters surface. They are quite a beautiful grouping of plants and give lots of habitat for frogs and are a space for predator fish to score these amphibians and other small fish looking for hiding space amongst its vegetation. Also bees like to land on the floating leaves and find water pockets to drink from in their pursuit of keeping the hive at the regulated temperature they need which is partly through using water. 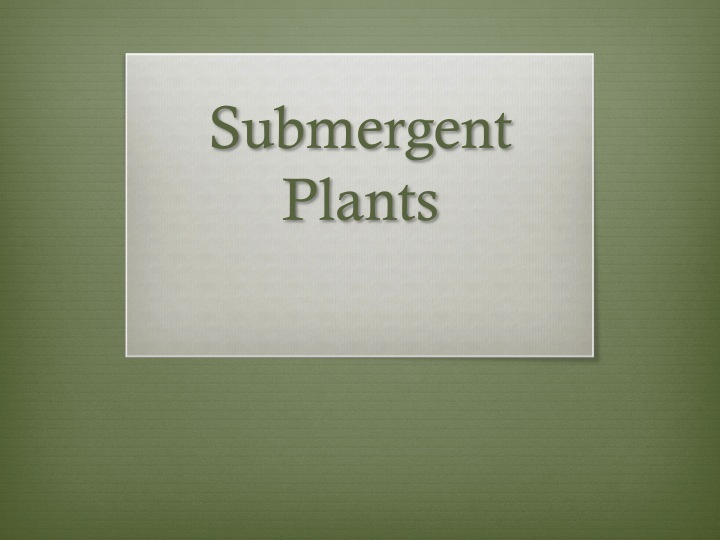 the more cultivated aquatic plants. 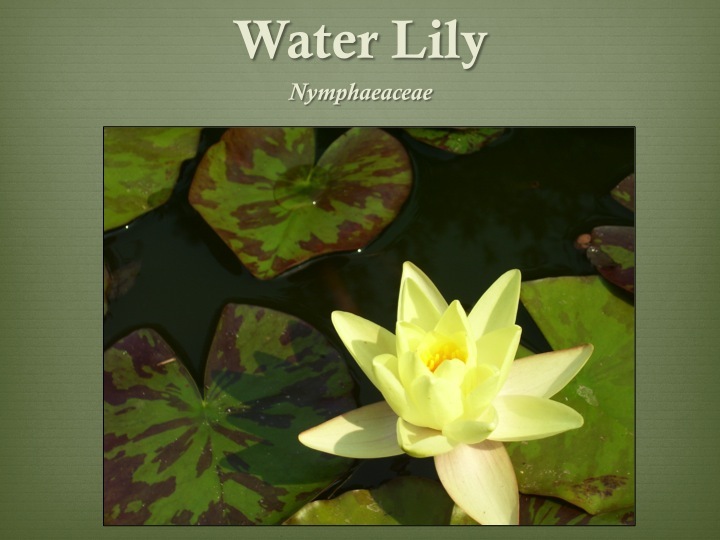 Its beautiful flowers and enticing pads are truly a remarkable addition to garden ponds and bigger ecosystems. Their flowers seem to attract multiple pollinators and the bees sure do love the little pockets of water that form on top of the lily pads from time to time. They shade water and provide lots of edge and plant material to stimulate the ecosystem. Again pfaf.org says one species, which we planted in a tyre pond in Bulgaria (2010), is edible as a pot herb from its stems. 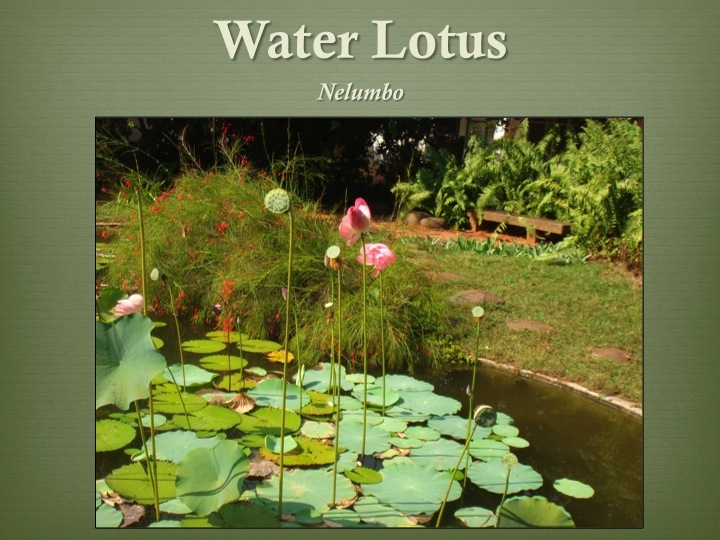 With tropical varities and temperate ones as well, the water lotus has a vast range but really is a multifunctional plant. I can remember delighting in the pickled roots when I was in SE Asia (2009) and also eating the roasted seeds. Also while working in Iowa, USA at Maharishi Univeristy of Management (2009-11), my fellow co-teacher in our PDC’s there Lonnie Gamble used to tell stories of the vast cultivated “fields” of the American Lotus that still persist in some stretches of the Mississippi River. In both contexts it was a spiritual plant in the region and its plentidue of food and beauty sure justify it. The waxy, spoke and wheel shaped leaves and veins are only surpassed by the Dr Seuss like seed pods and of course the flower with its touch of elegance. The seeds are also edible and have a chestnut flavor making them a true diospyrus or theobrama– food of the gods. Again aquatic systems should be designed not to be isolated within your overall permaculture but of course part of the integrated whole. Inherently this is what the design process facilitates and as Bill says, aquaculture is 4-20 more productive than your adjacent land based systems. These plants above are one of the main reasons this holds true and are one piece of the abundant ecology. Whether its mulch, filtration, food, oxygen diffusion or habitat, the plethora of functions allows you to meet the inputs and outputs game that permaculture facilitates. Looks good, but be careful not to MESS with invasive species! Just a point that a few people/gardeners think about! And maybe more importantly don’t utilize techniques that provide conditions for invasives to thrive or put the puzzle pieces together ecology of why they are thriving. Don’t export fear onto plants, rather examine the MANagement techniques over the years and currently to make these plants thrive.